1. Which cricket team does AB De Villers play for? 2. How many runs did Sri Lanka dismiss India for in the December 2017’s Dharamshala ODI? 3. Who holds the current record of the most number of ODI stumpings? 4. Who is the latest player from the Pakistan team to announce retirement from all forms of cricket? 5. Which Pakistan cricket player is the husband of the Indian tennis star, Sania Mirza? 6. Which cricket team had Brad Hogg played for? 7. Which team had Richie Richardson captained in the 90s? 8. State whether true or false – Afghanistan has an international cricket team. 9. State whether true or false – the highest test score of Sachin Tendulkar is 248*. 10. How many double centuries does Rohit Sharma have to his credit in ODIs? 11. Who is the current captain of the England test team? 12. With what margin did Australia beat England in the recently concluded Ashes test series? 13. Which current Indian cricketer saw a Bollywood biography released in his name in 2017? 14. Who is famous for playing the ‘Helicopter Shot’? 15. Which all-time great Australian player has Sachin Tendulkar often been compared to? 16. Who is the only Indian cricketer to have been awarded the Bharat Ratna? 17. Which Indian cricketer recently got married to the Bollywood star, Anushka Sharma? 18. Which country is going to host the upcoming 2019 ODI World Cup? 19. Which captain won Australia the 2015 ODI World Cup? 20. Which team won the 2017 ODI ICC Champions Trophy? 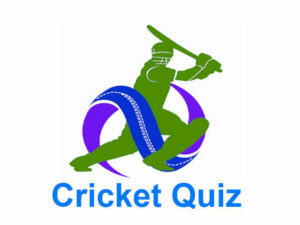 21. Who is the current New Zealand captain? 22. Which team does Tim Southee play for? 23. What’s the name of the cricket stadium in Kolkata? 24. This cricket-playing country has Cape of Good Hope. Which team is this? 25. Who is the current Indian head coach? 26. Who is the current Indian fielding coach? 27. Who is the regular test wicket-keeper in the Indian team? 28. Who is going to host the 2023 ODI World Cup? 29. Which is squarer – extra cover or point? 30. Which is straighter – mid-wicket or long on?